On the 28th of February, Wealth Management System Limited (WMSL) successfully held the seminar “Fin Science and Tech for All” at the Grand Centre Point Hotel Terminal 21. The company has been organizing annual academic seminar as it is carrying out its practice of distributing financial, investment and risk management knowledge to the society as well as providing updated essential information on Information Technology in the financial sector. The seminar featured one of WMSL’s Senior Consultants, Mr. Panya Chanyarungrojn, who discussed about the “Thai Baht Appreciation and Global Macro Drivers”. 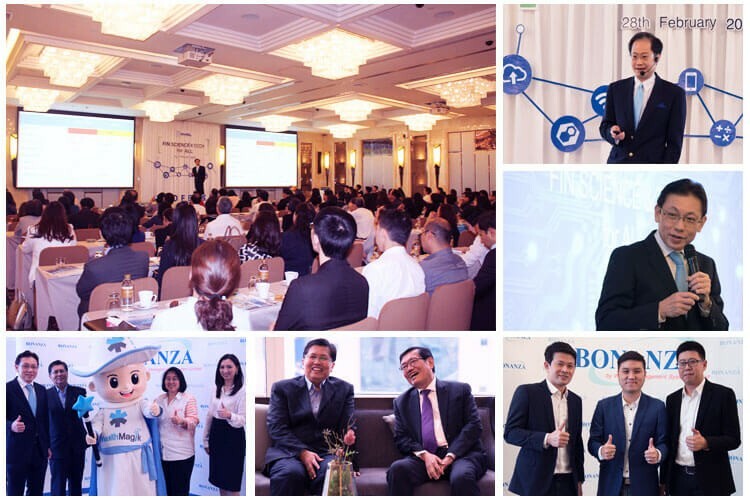 Also featured is the topic “Technology is Transforming Finance” where WMSL’s Product Champions Mr. Komsart Wesaratprasert, Mr. Nattapach Akkharamethaphat, and Mr. Chatree Daophawan talked about the new Bonanza solutions and their features. The new Bonanza products include solution for Big Data Analytics (Bonanza Insight), Fixed Income Dealing system (Bonanza Link), and new advanced modules for Bonanza Investment and Bonanza Wealth Management.